Another important relationship to hold and maintain is with a sleep physician. 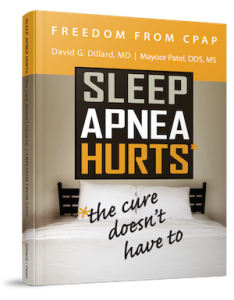 Sleep medicine in the dental office provides knowledge and understanding of sleep physiology and the life-threatening consequences of sleep-disordered breathing. Many at-risk patients are candidates for oral appliance therapy, and many patients who are suffering from sleep apnea can be treated by your dental practice working in an interdisciplinary relationship with a sleep physician. While you can provide your patients with oral appliance therapy, it is important to be aware that the first step in treatment is diagnosis. In order to properly diagnose your patients, a sleep physician is needed. A sleep physician is available to provide proper diagnosis of sleep apnea in patients. For this reason, it is important to establish a relationship with your local sleep physician. With each patient that displays signs of a sleep breathing disorder, you can send them to your local sleep physician for referral. Through a visit with the sleep physician, your patient will be monitored, tested and diagnosed. From there you can treat your patient with oral appliance therapy when appropriate. First, it is important to introduce your dental sleep medicine practice to your local sleep physician. This allows your local sleep physician to be aware of the services you provide, which helps in building a relationship for proper diagnosis and treatment planning. To create this working relationship, it is important that you give physicians and their staff confidence that your practice will provide exceptional care for their patients by speaking their language and sending standard medical SOAP format narratives that document your patients’ treatment—it demonstrates to physicians that your practice has established proper protocols. Introducing yourself to your local sleep physician is a good way to establish a solid relationship because you are informing them that you are screening your dental patients for sleep apnea, and will be referring to them for an evaluation and diagnosis. The sleep physician will also play a large role in a follow-up sleep study after a patient has begun oral appliance therapy. Your local sleep physician will help to make sure the treatment is working, or provide treatment adjustments as needed. Contact Dr. Mayoor Patel for more information on how you can establish a proper relationship with your local sleep physician and why it is so important for treating your patients. Previously we have always touched base on the dentist’s role in the treatment of sleep apnea and craniofacial pain. However, hygienists play a crucial role in sleep apnea as well. Why? It’s simple. A hygienist is the one that spends the most time with patients once they enter the dental office. From routine dental cleanings to educational information, the hygienist plays a large role in the interaction with the patient, which means they may be the first to realize a patient might be suffering from sleep apnea. Sleep apnea is a chronic condition that often requires long-term management. In the last 10 years, dentists and hygienists have become more involved in the treatment of sleep apnea, which continues to expand. Sleep apnea often goes undiagnosed because most people who suffer from this condition don’t even realize they have it. Since patients visit their dentist more often than they visit their doctor, a dental hygienist plays a critical role in screening patients for sleep breathing disorders and caring for them. Can you breathe through your nose? Do you become extremely tired or fall asleep during the day? Each question is important in determining signs and symptoms of sleep apnea in your patients. And, since you are the main point of contact for your patients twice a year, it is important to include this in your questions. Dentists and Hygienists work as a team in the treatment and diagnosis of oral health care issues, which means sleep apnea, too. Start today, and get a better understanding of how you, the hygienist, can aide in the identification and treatment of sleep apnea in your patients.